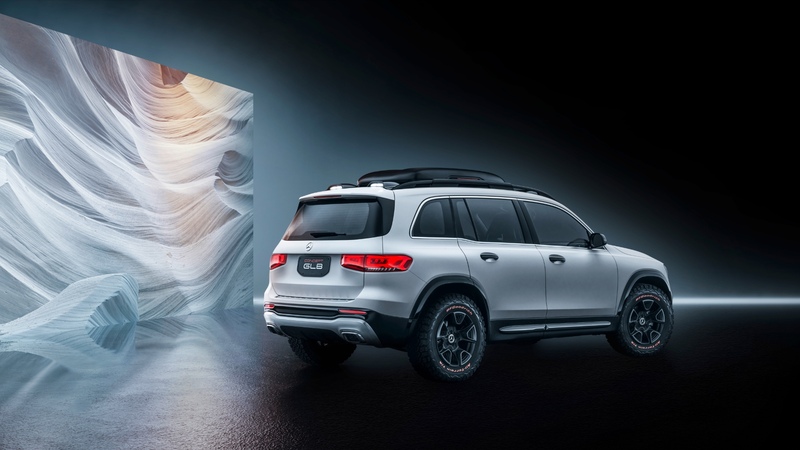 The clue is in the name: the new Mercedes-Benz GLS, revealed at the 2019 New York Auto Show, aims to take S-Class luxury and refinement into the large SUV segment. 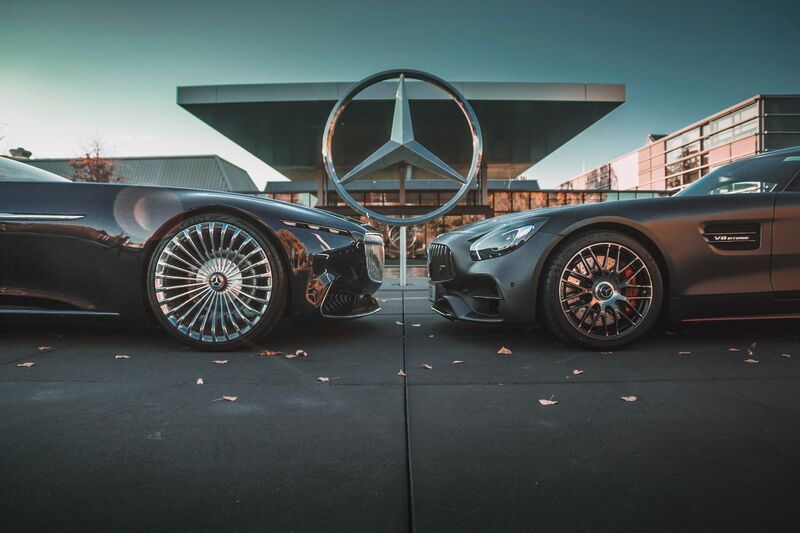 It’s a market currently defined by the Range Rover, and challenged by the new BMW X7. 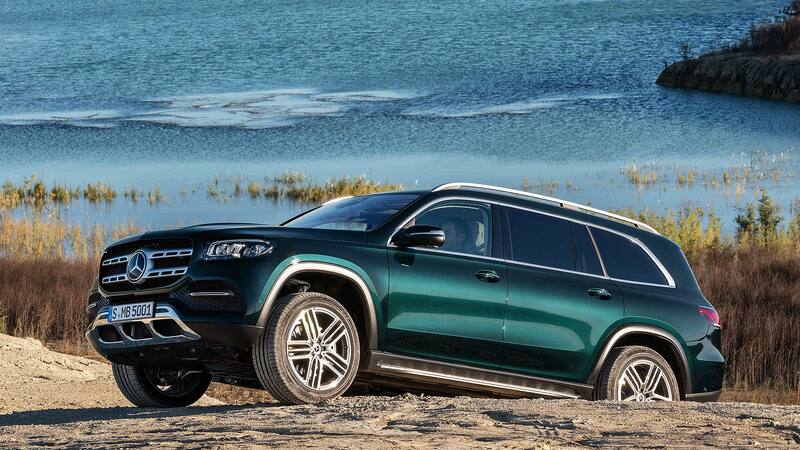 One thing is for certain: the GLS is a damn sight prettier than the brutish BMW. 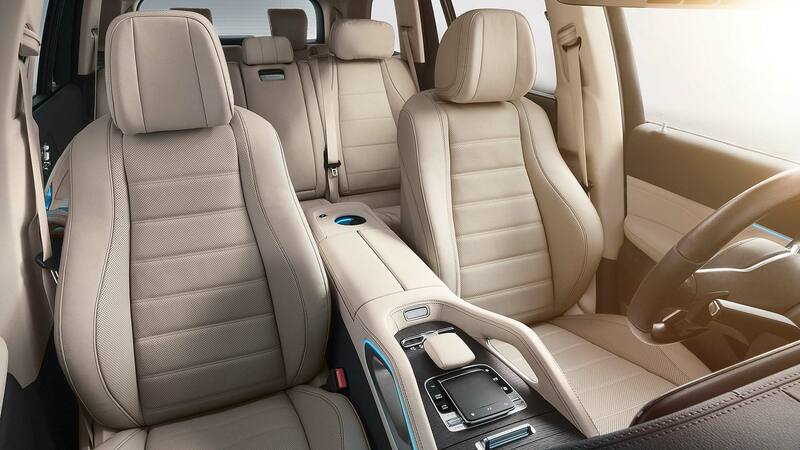 Whether it is as luxurious as the Range Rover remains to be seen. 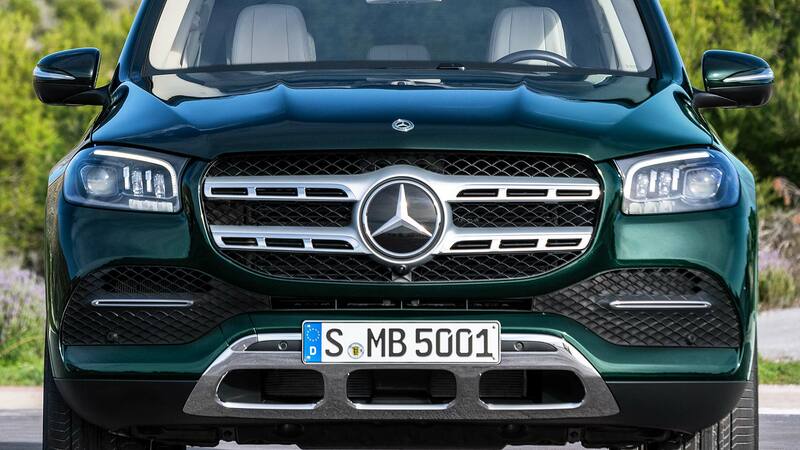 But Mercedes-Benz has been nothing if not exhaustive in its efforts to justify that ‘S-Class of SUVs’ tag. 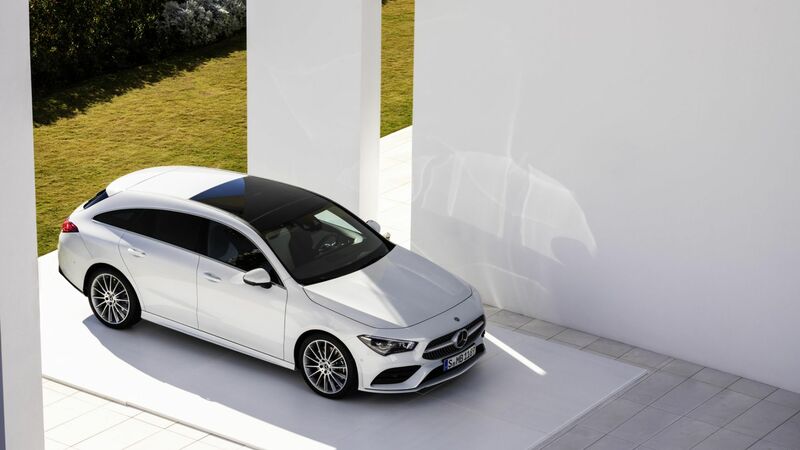 There is more space for those in the middle row of seats, comfier accommodation in the third row and, if you fold all the seats down (at the press of a single button), a 2,400-litre luggage compartment. That’s on par with vans, and way in excess of any estate car. 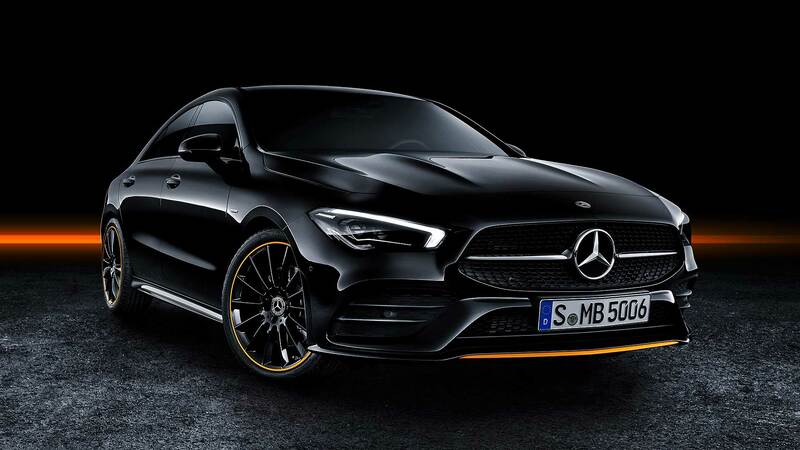 Mercedes-Benz is even offering a six-seat version alongside the regular seven-seater, with middle-row chairs almost as decadent as those in the front. Every seat is electric, seat-heaters extend to the third row and the sixth and seventh seats are ‘fully fledged’ chairs good for people over 6 feet 3 inches tall. 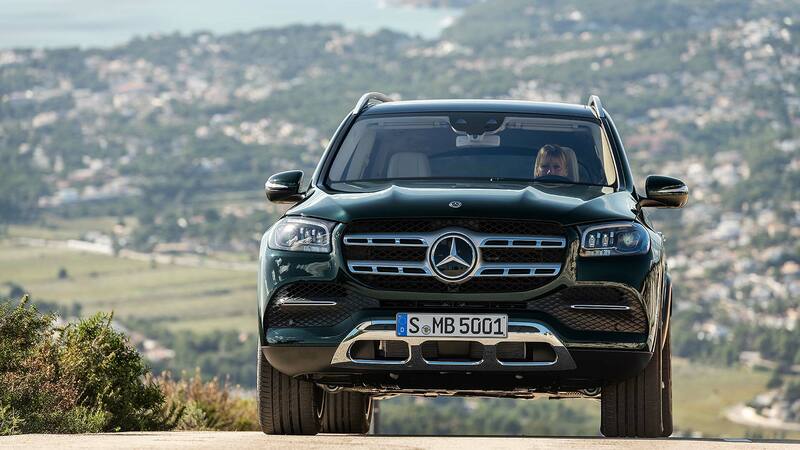 Third-row passengers also get USB charging ports and Mercedes-Benz is offering five-zone climate control. So there need never be any argument that it’s too hot or cold, no matter how many people are on board. 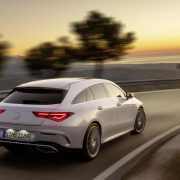 The design follows the Mercedes-Benz ‘Sensual Purity’ idiom: sculpted surfaces replace individual edges and beading. 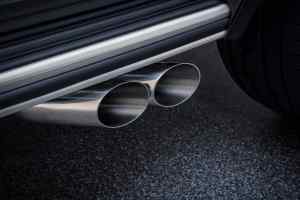 The aerodynamic drag factor bears this out: a Cd of 0.32 is superb for this segment, despite the upright radiator grille and chrome-plated front underguard. Being so slippery also helps reduce wind noise at speed. The GLS’ lights are its jewellery. 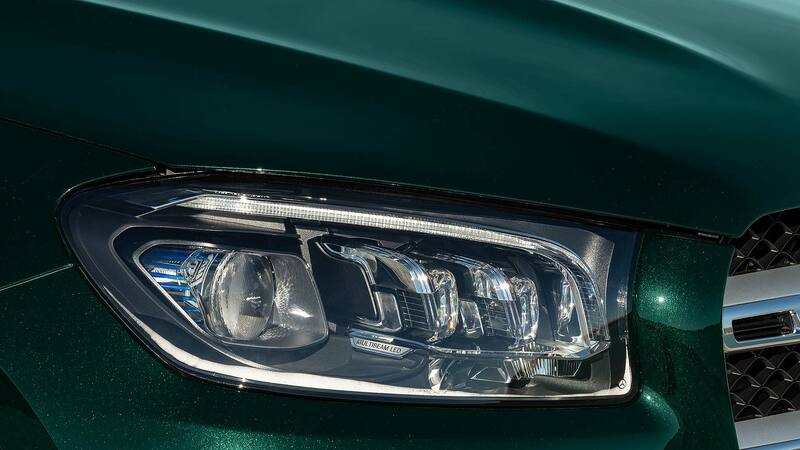 Multibeam LED headlights are standard; each side packs a staggering 112 LEDs and is as bright as legally permissible. Only beyond 0.4 miles’ distance does the brightness dip below the 1 lux reference value. 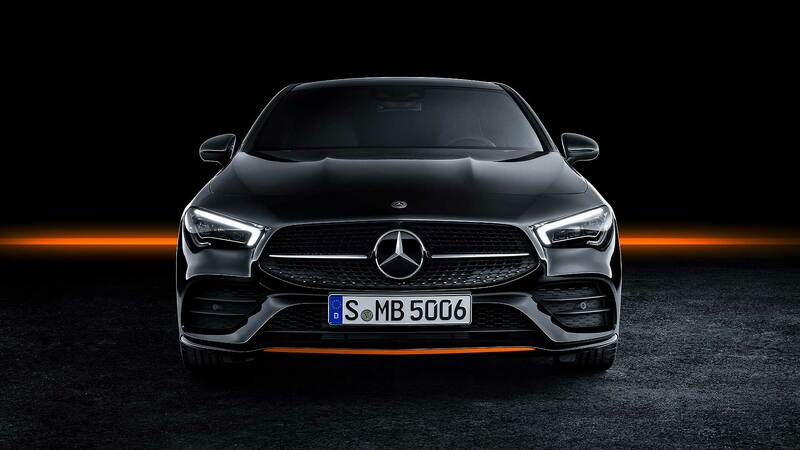 By day, three LED running light segments mimic the S-Class sedan. 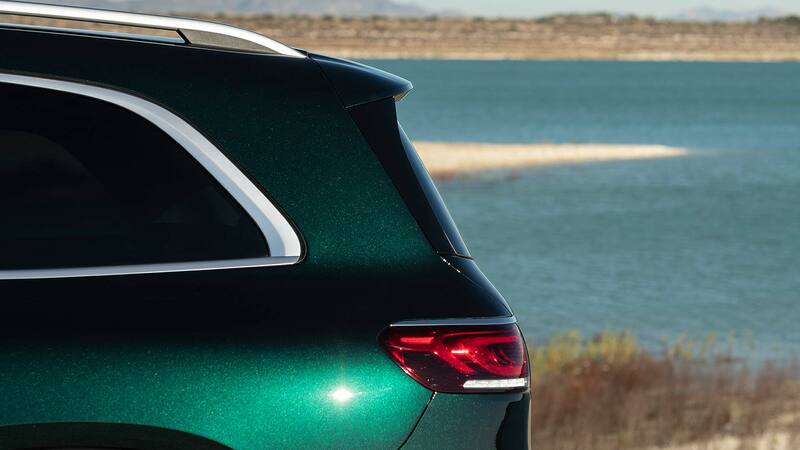 Mercedes-Benz is pleased with the muscular shoulder line on the GLS, which extends from the rear doors into the tail lights. These are two-piece LED units with a 3D look. 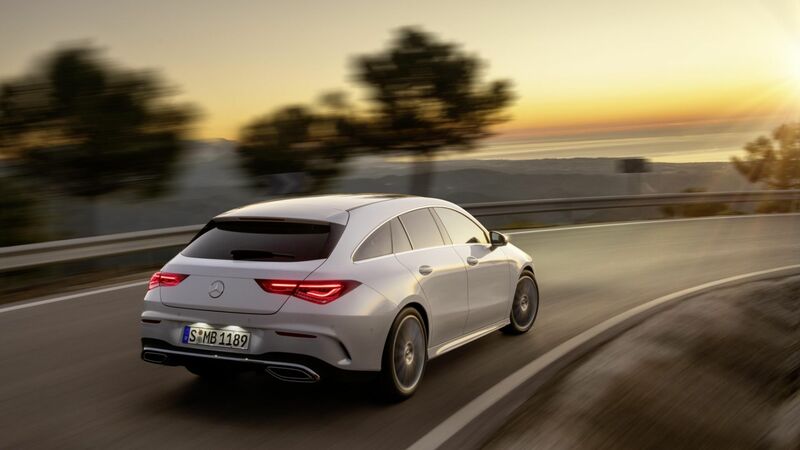 The mandatory reflectors are located lower down, so the tail lamps can be flatter and more sculptural. Like an expensive piece of jewellery, they are surrounded by a thin chrome strip. Inside, it’s amazing. 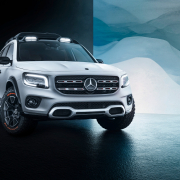 Leather-lined and tech-packed, the GLS is like an S-Class on steroids, with a similarly breathtaking appearance (and, at night, ambient light show). 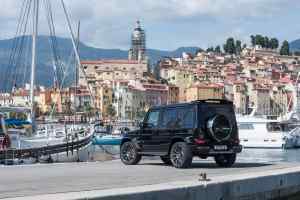 Up front, it’s all built around the MBUX infotainment system, with twin 12.3-inch high-res screens, but the detailing is just as noteworthy – from the raised centre console to the chunky SUV-style grab handles. 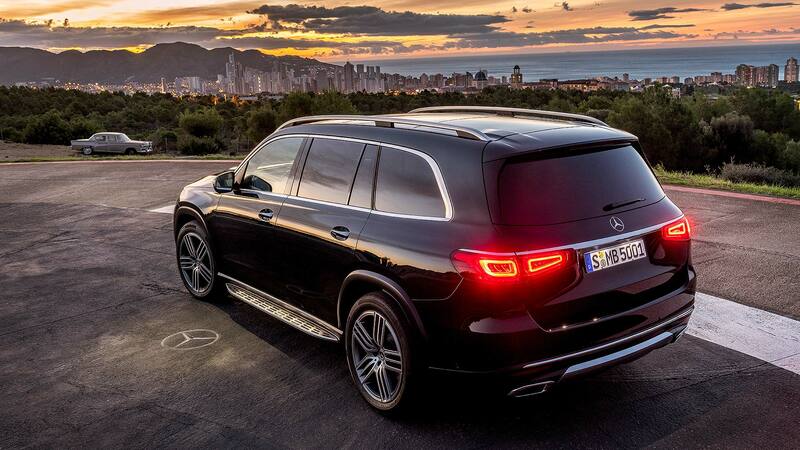 It’s high-tech in the rear, too. 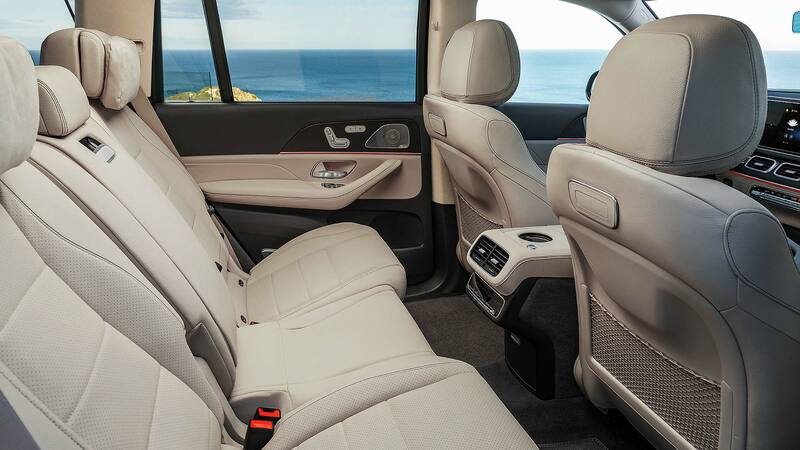 Order the Rear Comfort Plus Package and a 7-inch Android tablet linked to MBUX is included, with its own docking station in the middle-row armrest. 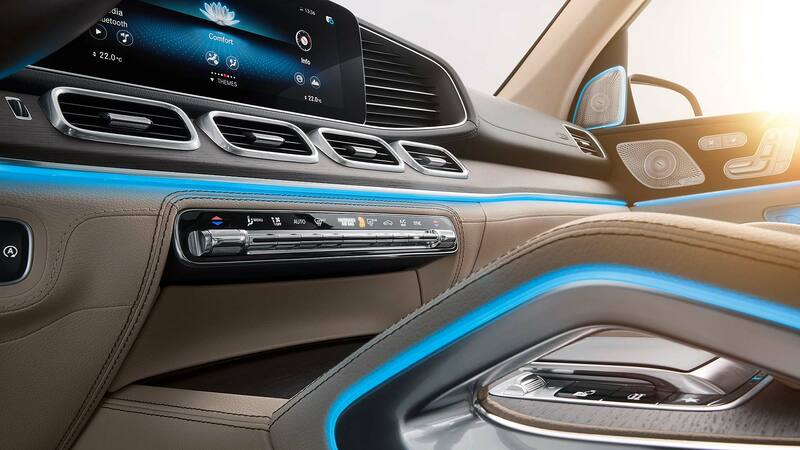 Use it to control radio, TV, media, telephone and a web browser, and also the rear seats themselves and every zone of the climate control system. You’ll also find second-row wireless smartphone charging and a plethora of USB ports. Want to spoil those in the back? 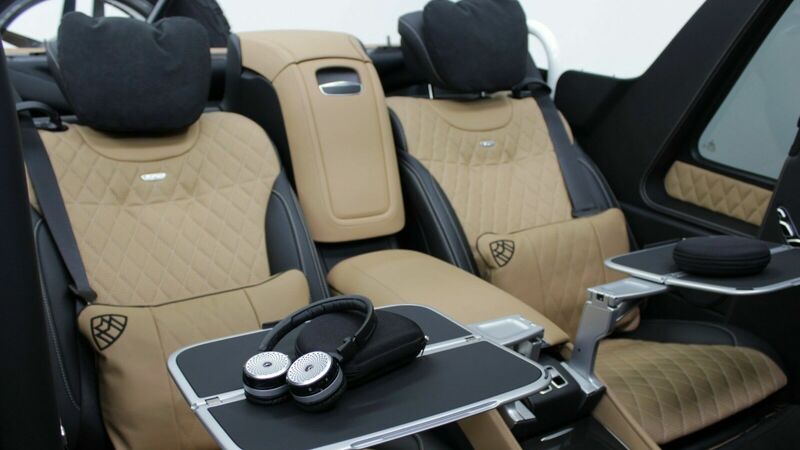 They already have ‘luxury’ head restraints with additional cushions, but they can also have lumbar massage, climate-controlled seats and a further-upgraded MBUX Rear Seat Entertainment System. 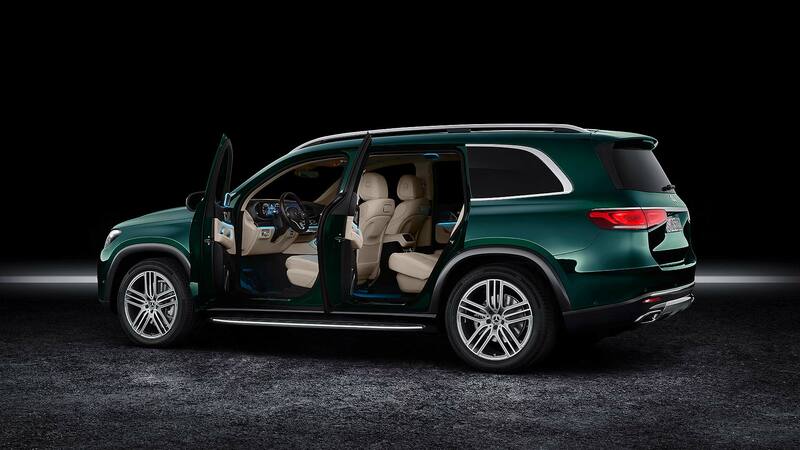 This has dual 11.6-inch touchscreens that link to the smartphones of each person in the back. 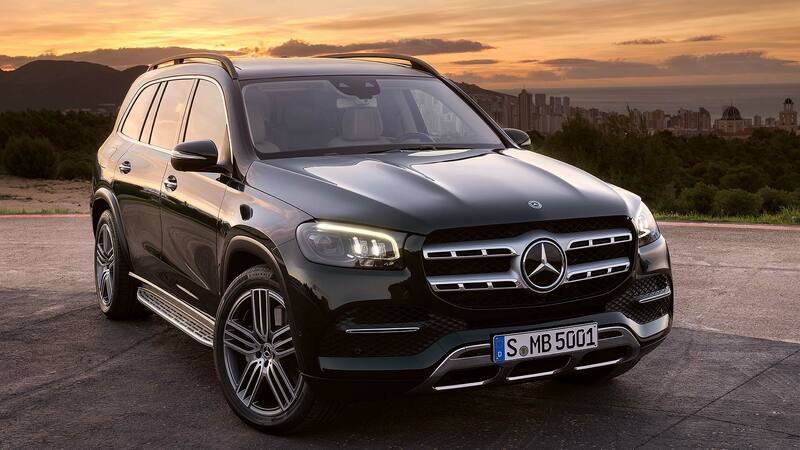 Diesel engines comprise the six-cylinder 286 horsepower GLS 350d 4Matic and the 330 horsepower GLS 400d 4Matic. 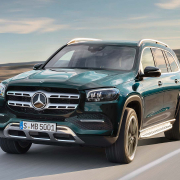 Markets outside of the EU will get a GLS 450 4Matic, with a 367 horsepower six-cylinder gasoline engine boosted by 48V mild hybrid tech. 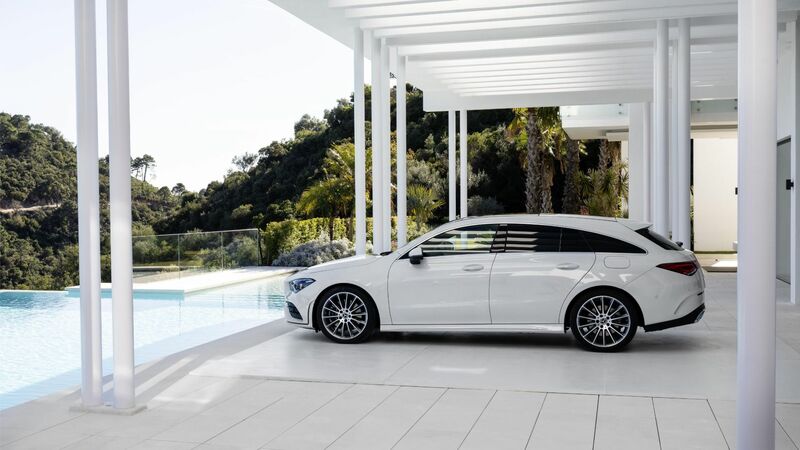 The most interesting model is the GLS 580 4Matic. This arrives shortly after market launch. Another gasoline motor, it produces 489 horsepower from a beefy V8, again boosted by a 48V system. 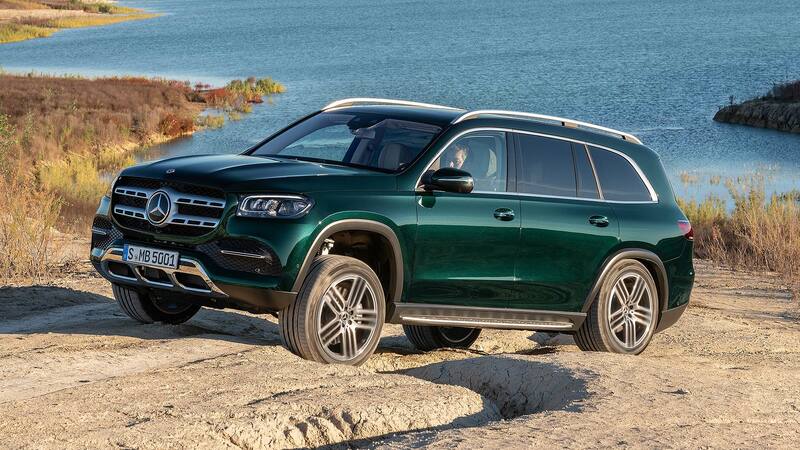 All GLS have a nine-speed 9G-Tronic automatic, and off-road fans can option a transfer case for a low-range gearset. Airmatic air suspension is standard. 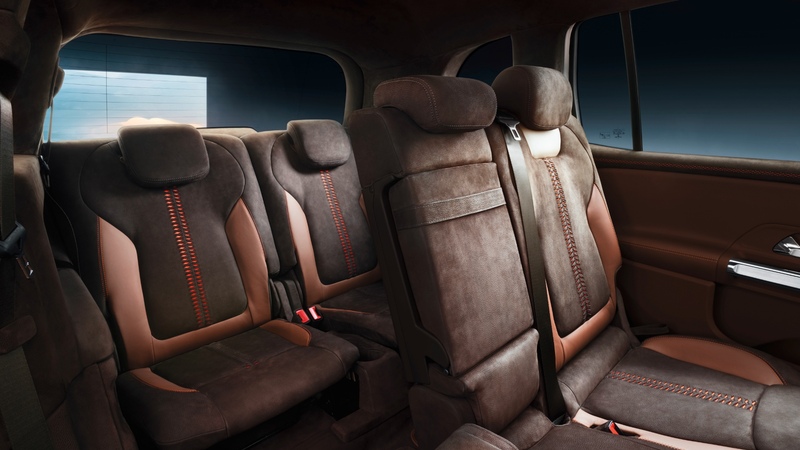 E-Active Body Control, a 48-volt active anti-roll system is optional to help keep passengers settled and comfortable. 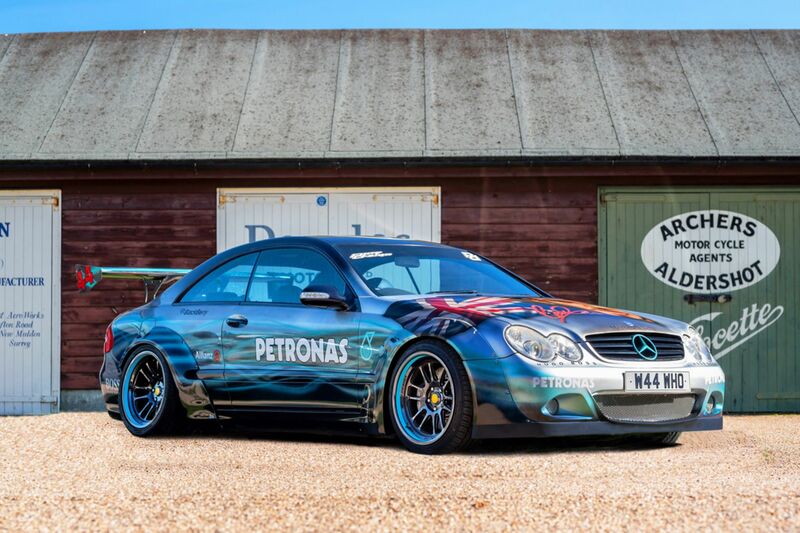 It’s the world’s only tech that individually controls springs and dampers at each corner. 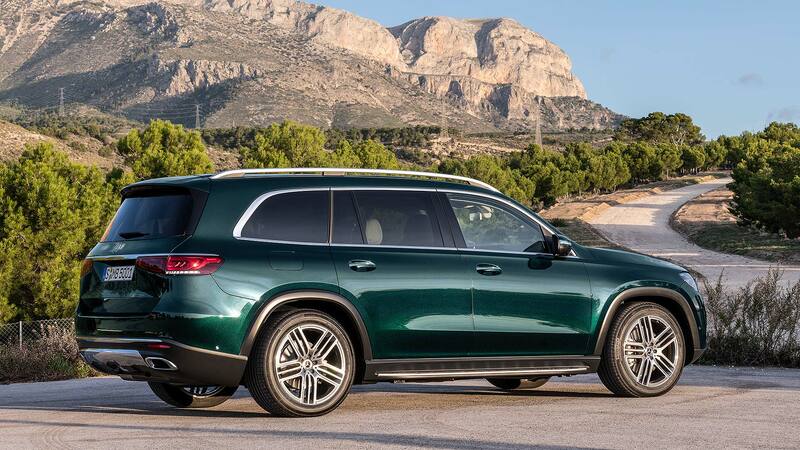 ‘The world’s most intelligent SUV suspension’ scans the road for bumps and even ‘leans into corners’, like a motorcycle, to counteract roll. It has a similarly extensive repertoire of tricks off-road, too. Oh, and check this: there is an official ‘Carwash function’. 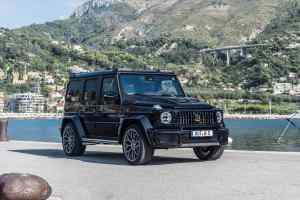 Select this and the suspension jacks up to the highest position, which means the carwash can blast out any dirt underneath the wheelarches from off-roading. 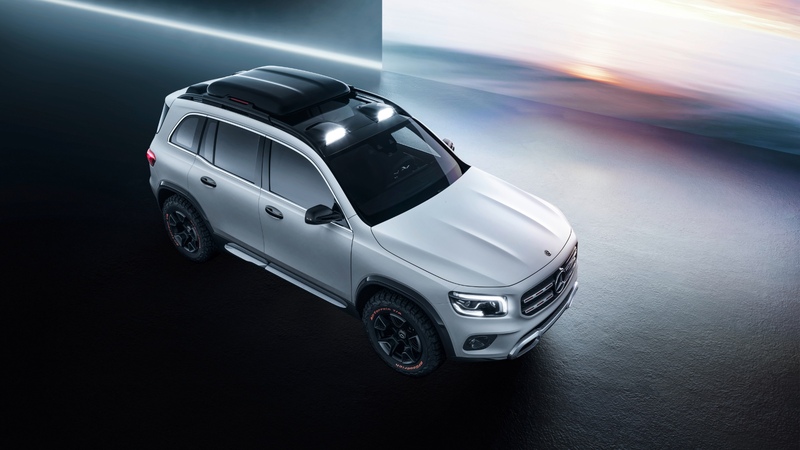 It also folds in the door mirrors, deactivates the rain sensor, switches the climate control to air recirculation and turns on the 360-degree front camera to help the driver guide the GLS in and out. It’s all automatically deactivated when your speed rises above 12 mph. 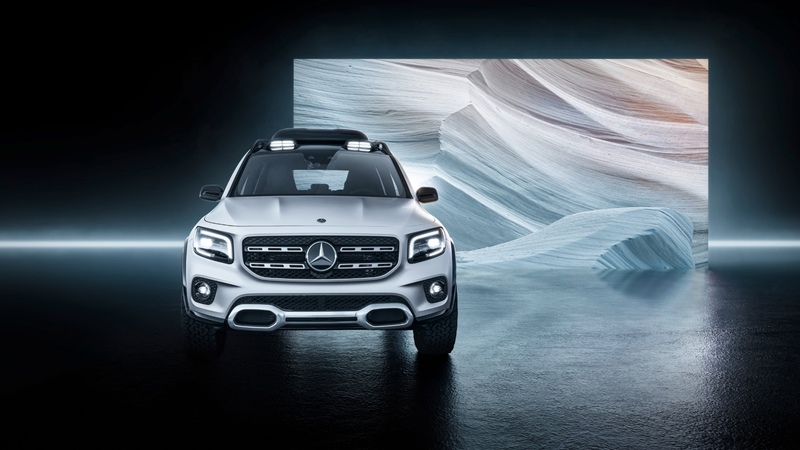 The Mercedes-Benz SUV range now comprises, wait for it: GLA, GLC, GLC Coupe, GLE, GLE Coupe, GLS and G-Class. 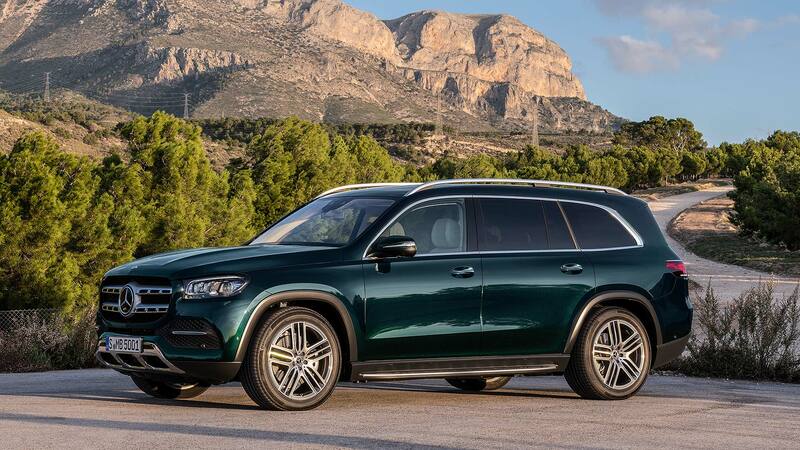 More than five million have been sold since the first Merc SUV, the M-Class, was introduced in 1997. 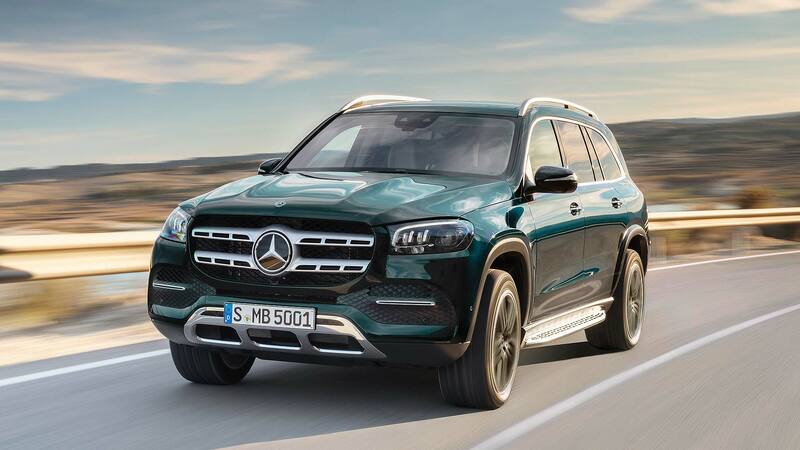 The new Mercedes-Benz GLS, which is built in Tuscaloosa, Alabama, goes on sale in the USA from July 2019, then from Q3 2019 in Europe. Prices will be announced nearer to its market launch. Introducing the Mercedes-Benz baby carriage Avantgarde. 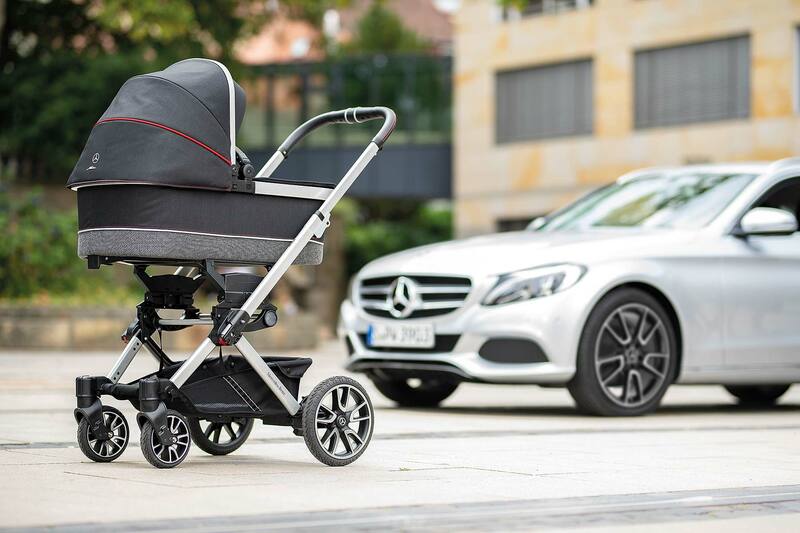 That’s right, Mercedes will now sell you a pram. The company is teaming up with veteran German pram manufacturer Hartan, which has been building baby buggies since the 1950s. 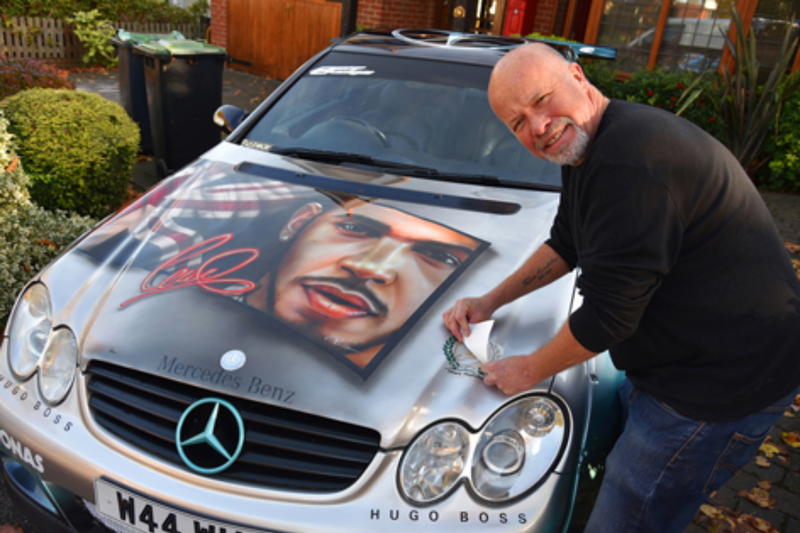 So, what distinguishes it as a Merc? 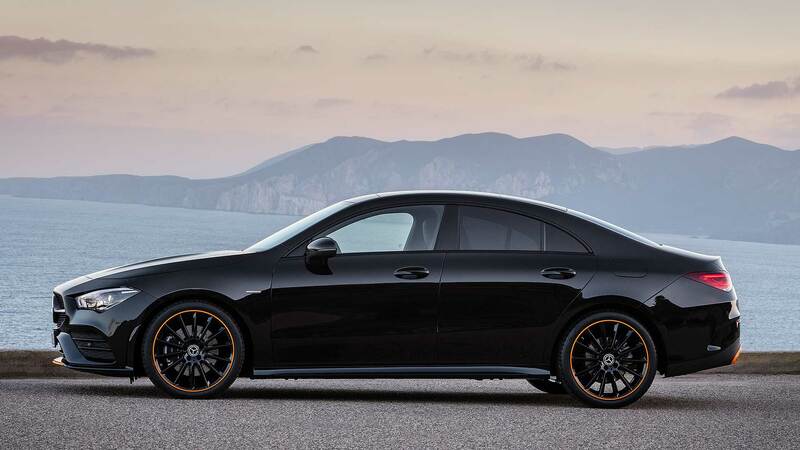 Well, you’ll be hard-pressed to mistake it for anything else, thanks to the AMG-style five-spoke wheels. 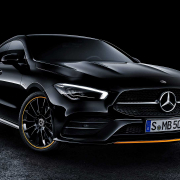 They are much smaller than the 18-inch fare on many Mercedes cars, but the style is a dead ringer for those available on certain specifications of C-Class. With an aluminium frame and seat unit, the baby carriage Avantgarde is ‘characterised by a very low weight’ (13kg all-in). The ‘handling dynamics’ should be notable, too, given it comes with adjustable suspension and air-chamber tyres. 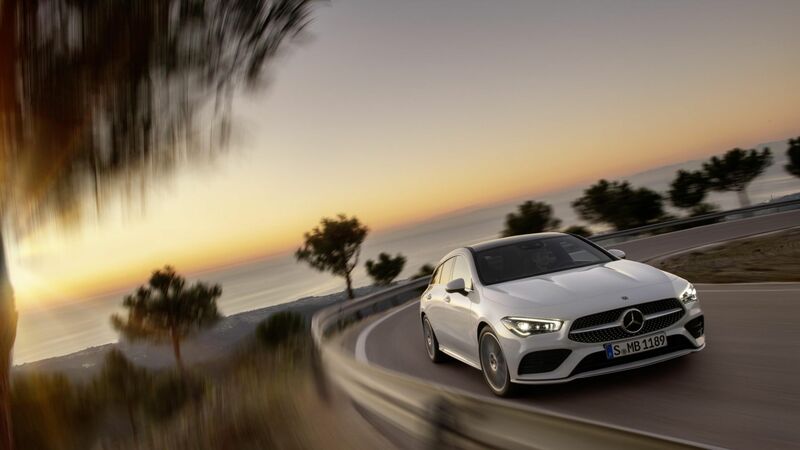 It moves ‘effortlessly on any surface’, says Mercedes. There are three colour specifications available. Dessin Sport combines black, anthracite, grey and silver with red seams and red piping on the hood. The Dolce Vita is beige, sand and brown with an ‘Arenisca’ carrier. Dessin Deep Sea blends anthracite and blue with a ‘Seaskin’ carrier. The Mercedes pram will be available from certain baby outlets from this month. Will you be buying the ‘Mercedes of baby carriages’ for your little one? More power isn’t exactly the top of the list of changes we’d make but hey ho. 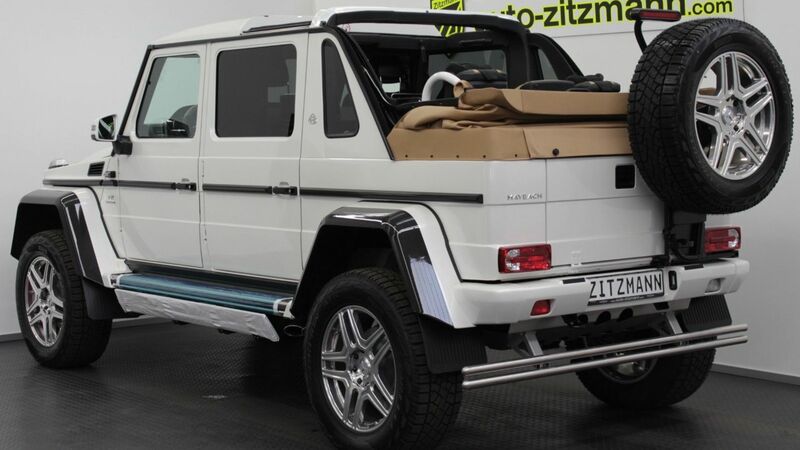 Welcome to the Brabus 700 Widestar. 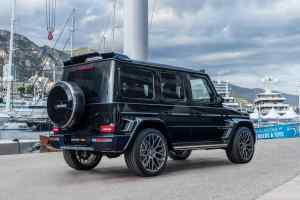 The standard G63 is already the Kardashian/mob boss/Middle East oil baron daily hack of choice, but the Widestar takes it to the next level. 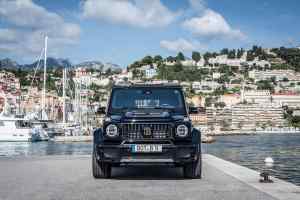 And where better to debut such an outlandish machine than in Monaco at the exotic 2018 Yacht Show? 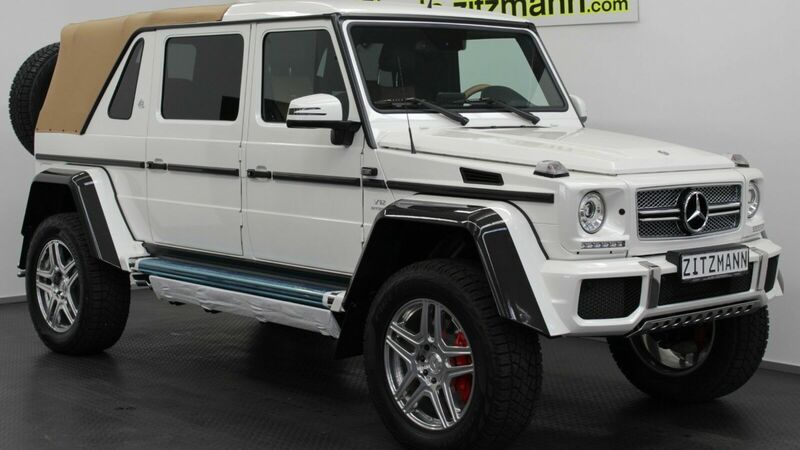 You won’t need to even fire up your 700hp Brabus Widestar to get noticed. 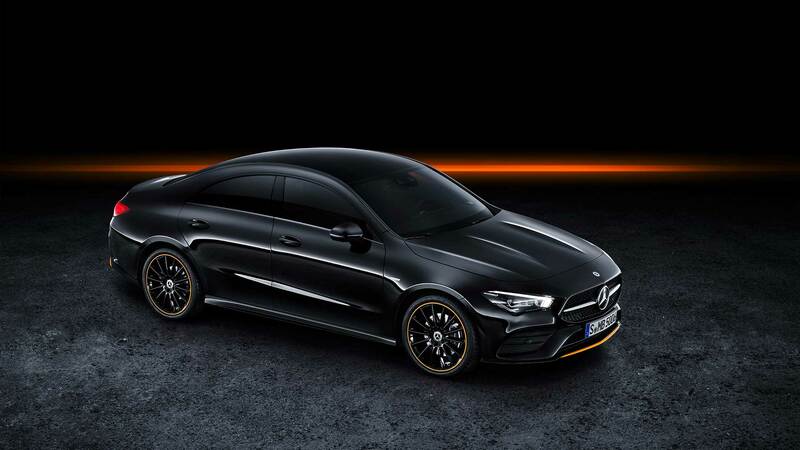 100mm-wider wheelarches can harbour enormous 23-inch Monoblock “Platinum Edition” wheels if you so desire. Measly 20s come as standard. 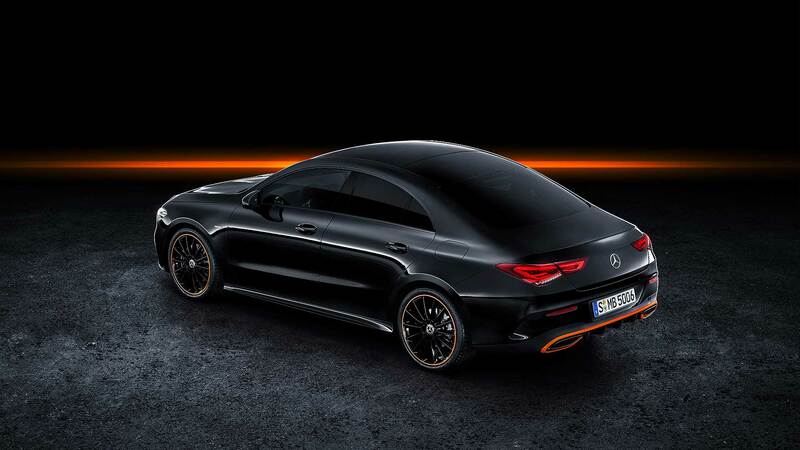 Brabus badging all around the car lets everyone know this is no (ahem) pauper-spec AMG. 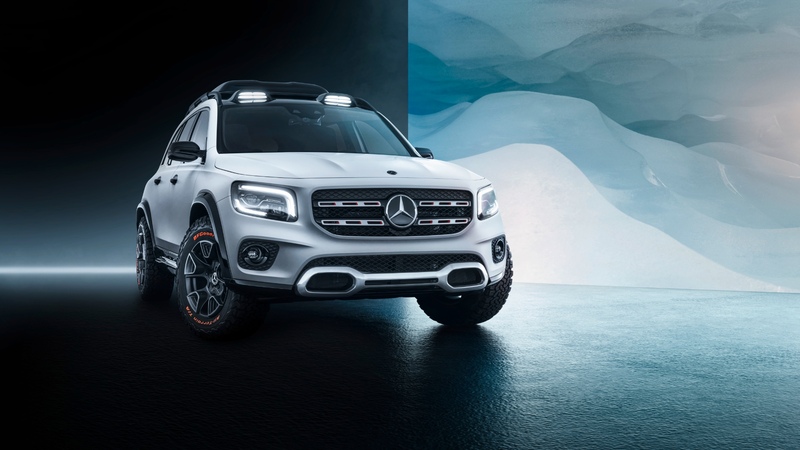 Roof-mounted LEDs are perfect for lighting up the next sand dune to be conquered. 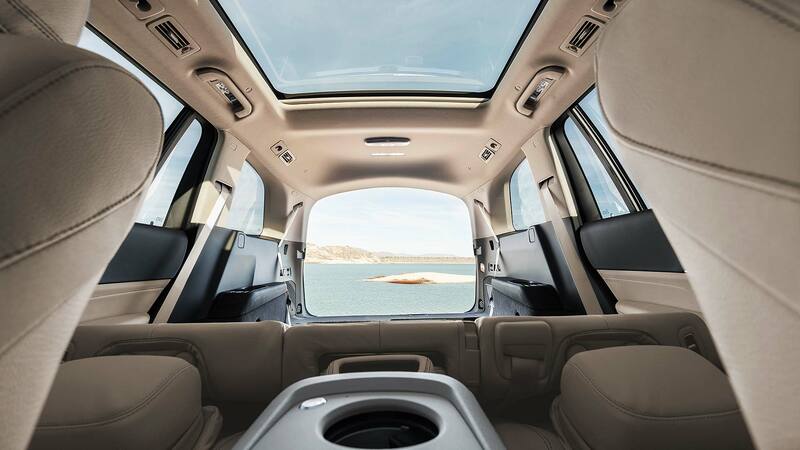 It should come as no surprise that the sky is the limit when it comes to speccing out the cabin of your new Brabus Widestar. 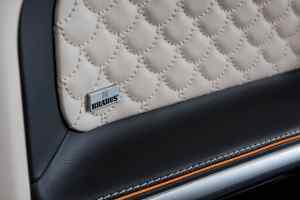 The finest leathers, Alcantara, carbon fibre highlights and wood are all available. 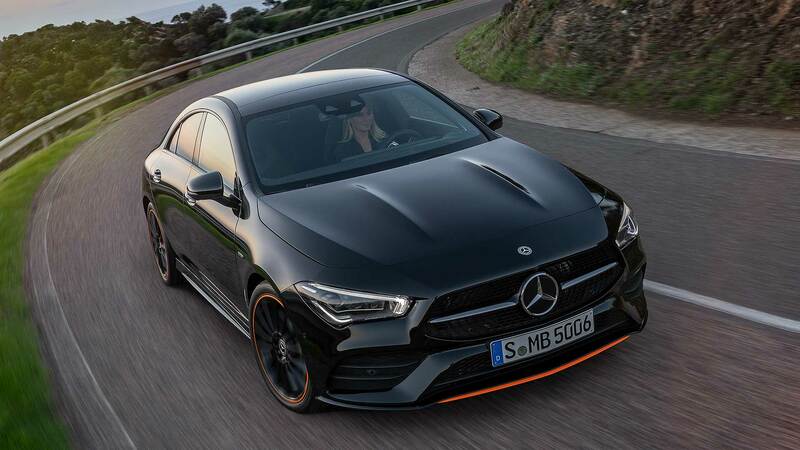 The car on display in Monaco features a literally tasty-sounding vanilla and black leather cabin, with orange piping and vanilla seams. 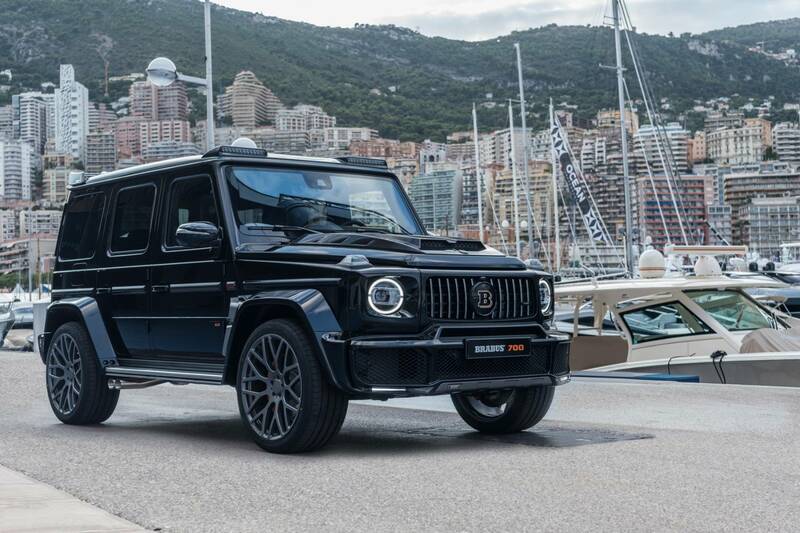 The power was perhaps the easiest thing to eek out for the Brabus Widestar. 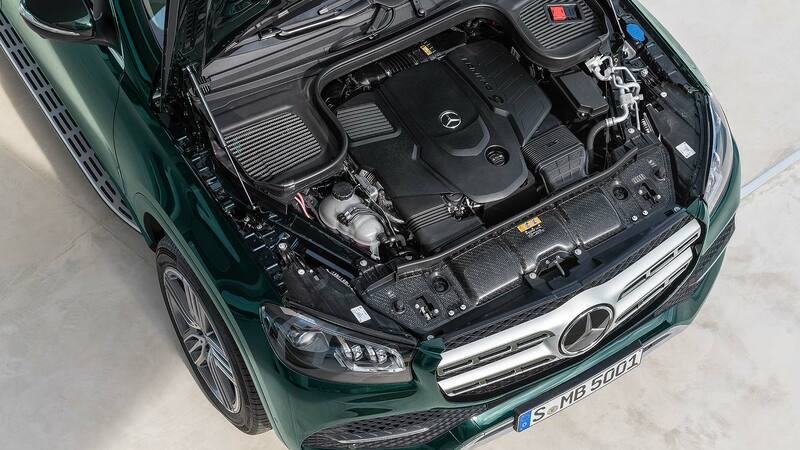 The B40 700 package is already available for other models that come with the 4.0-litre V8. 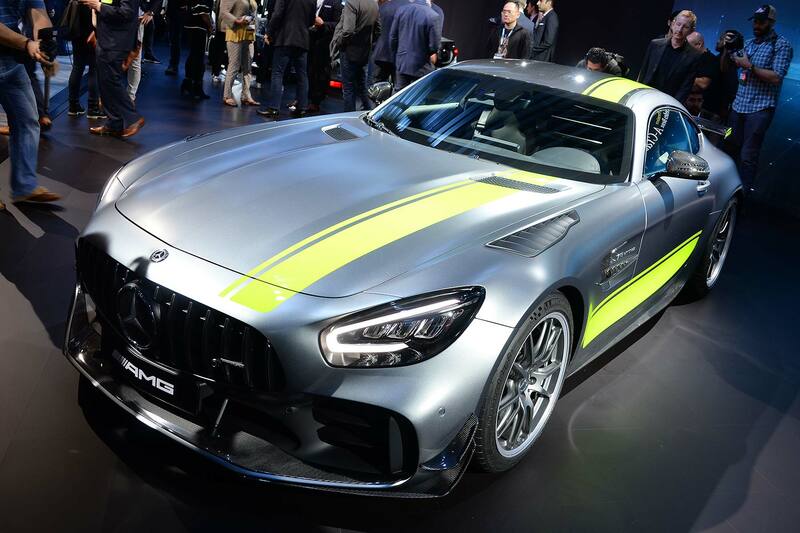 The changes include a new control module and a new engine map that up the boost and fuel flow, as well as an optional sports exhaust to really make it sing. 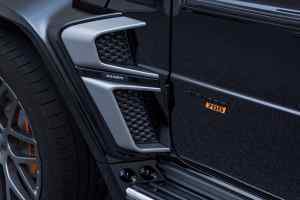 There’s even a subtle “Coming Home” exhaust mode; an uncharacteristic consideration of others who might not want to hear your booming 700hp V8 truck as you leave of a morning. 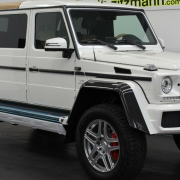 That said, neighbours aren’t something we imagine Brabus Widestar buyers are blighted by.